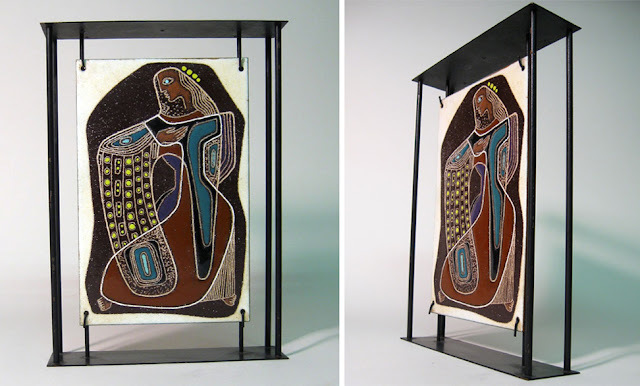 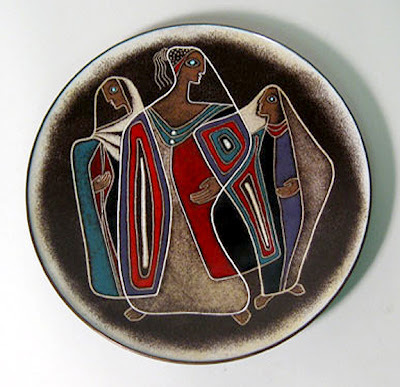 Ellamarie (Packard) Woolley (1913-1976) was an artist and teacher from San Diego, California, known for her enameled copper art. 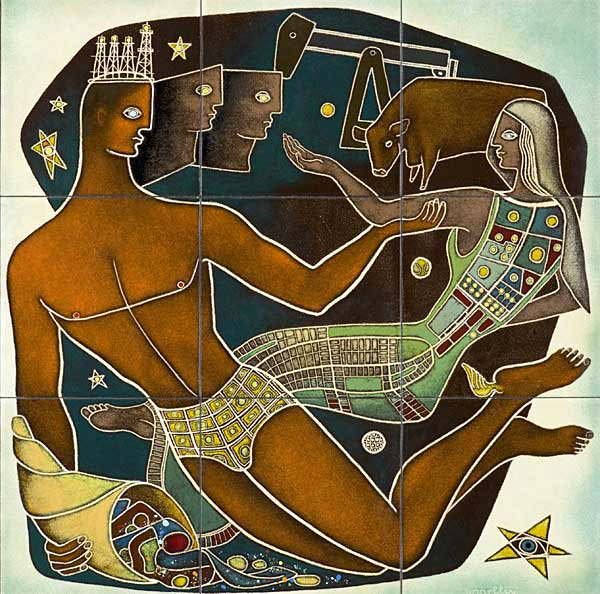 After graduating from San Diego State University she began teaching Art at Francis Parker School where she met her husband-to-be, Jackson Woolley (1910-1992); who was the drama teacher. 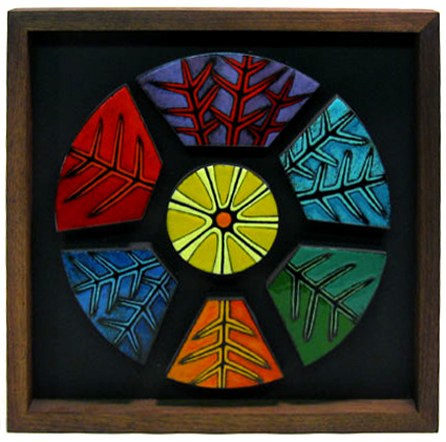 After Jackson returned home from serving during WWII, the couple began looking for a way to work together outside of teaching. 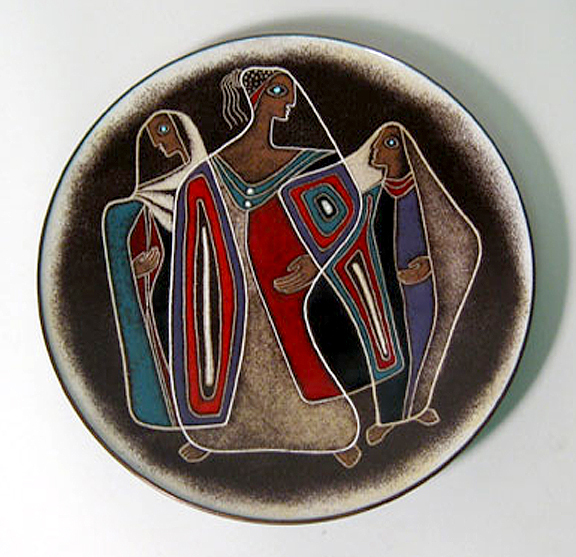 They found their answer after attending an enameling workshop at Scripps College in 1947. 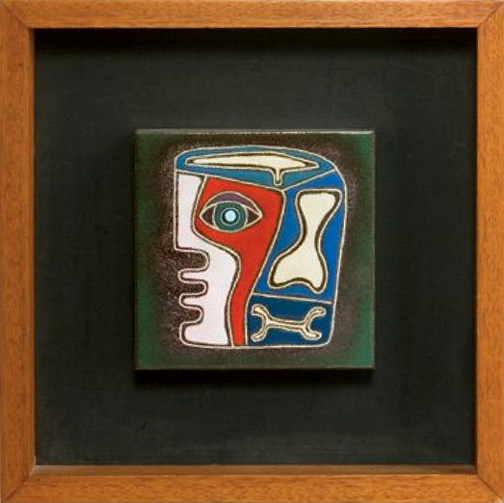 Together they began producing functional objects such as plates, ashtrays and boxes. 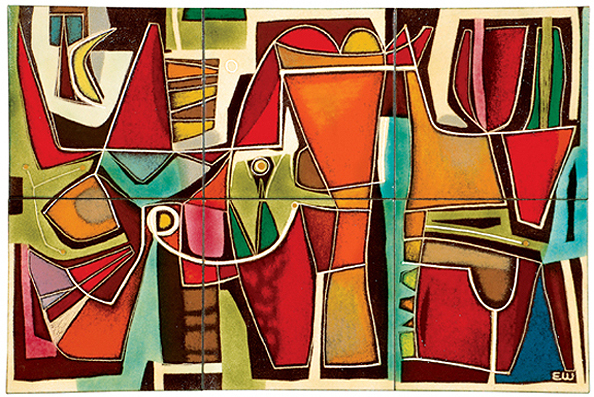 During the 50's they began creating large scale wall panels and murals. The following is a selection of Ellamarie's work. 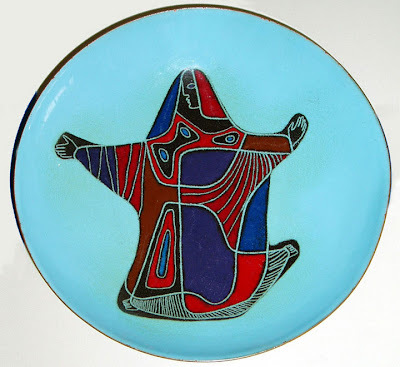 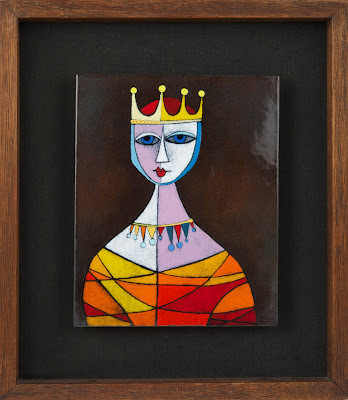 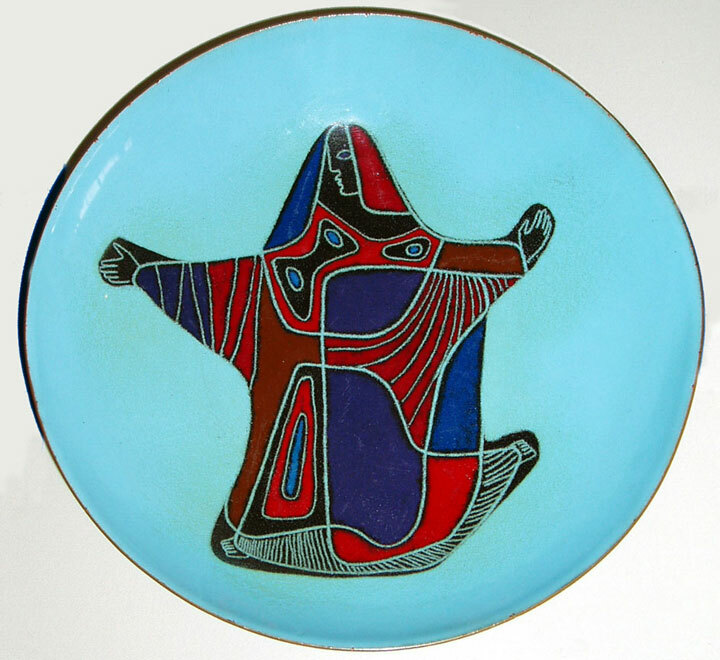 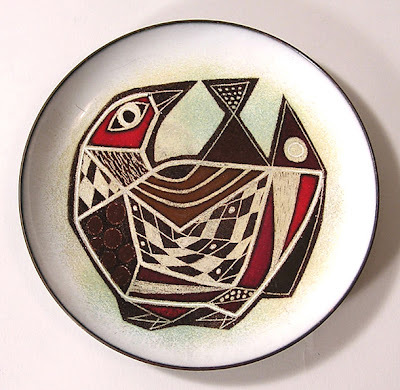 If you are interested in acquiring enameled works by Jackson and Ellamarie Woolley, I would suggest trying ObjectsUSA in San Diego first, as they always seem to have a few pieces available. 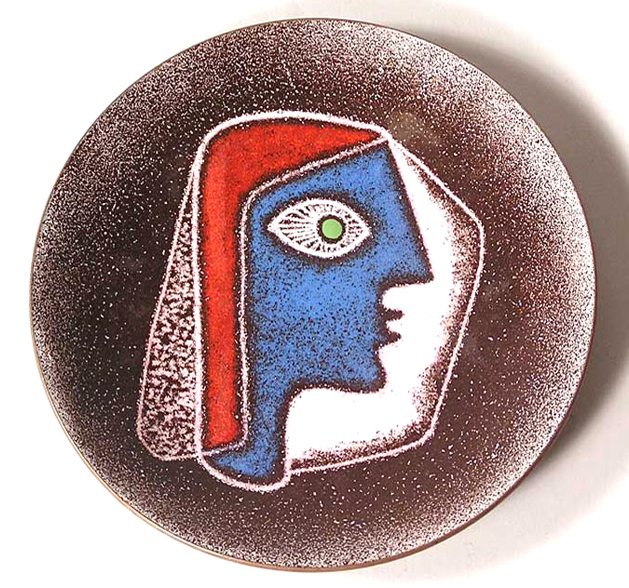 For more information on the enameling art form click here.